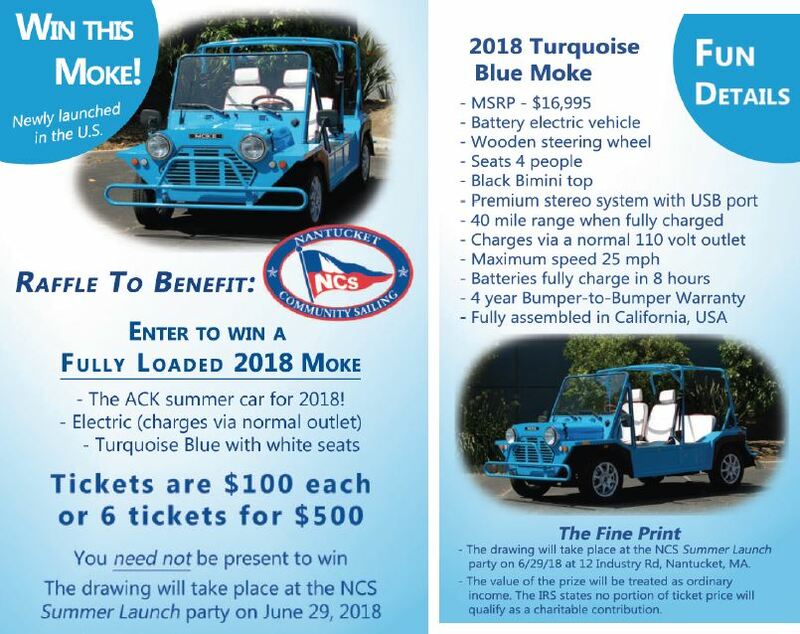 We are excited to tell you that NCS is raffling off a MOKE electric car! This is the perfect Nantucket summer vehicle! Raffle tickets are $100 each, or 6 tickets for $500. Only 500 tickets will be sold. The winner will be drawn at our new Summer Launch Party on June 29 at our Shadbush maintenance facility. You can stop by the NCS office to pick up the raffle tickets, or just call the office at 508-228-6600 and buy a raffle ticket over the phone. An added incentive is that the MOKE dealer will donate $500 to NCS for every additional MOKE sold. The MOKE will arrive on island shortly, so be sure to look for it to pop up around town. Thank you for your support.